Meet our team of experienced trainers. Susie is the founder of Atlanta Dog Trainer. Every so often you meet a dog trainer and you realize, “Wow, it’s like she knows what the dog is thinking!” That is one of the most common expressions that clients who meet her. Alongside his wife, Rick has fostered 90 dogs over a span of 7 years with gratifying results. He believes their passion for dogs allows them to remove the dogs from the instability of their previous lives and socialize them enough to go into their forever home. Ji Kim is one of our Atlanta Dog Trainer Obedience and Behavioral Trainers. He teaches group classes, private lessons, and in-home training sessions. 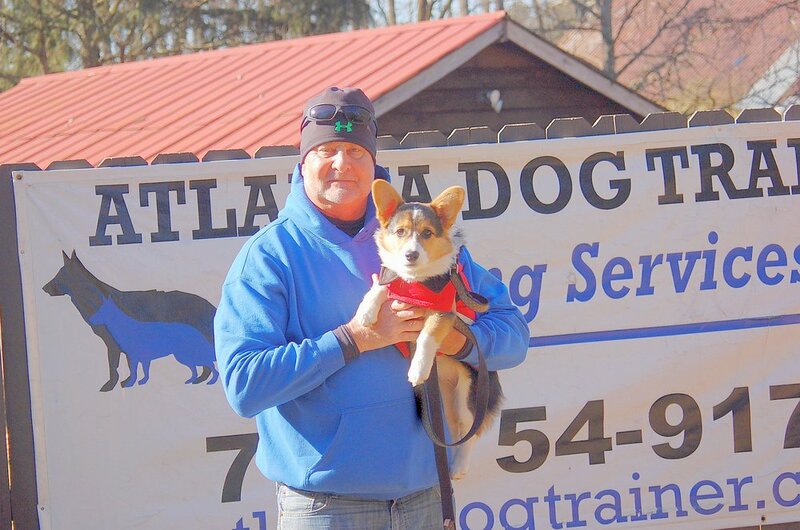 He is also one of the day school trainers as well as an instructor for the Atlanta Dog Trainer Academy. Diane Culpepper is a U.S. Air Force Veteran who served just under 20 years. She taught survival techniques and learned how to track animals, animal behavior and how animals think. It was having this training that led her to fulfill a career that she dreamed of as a child. MaryAngela Benthal has been socializing and training dogs for over 12 years. She comes to us from Canine Companions for Independence in New York, where she worked to provided highly trained assistance dogs to help increase the independence of individuals with both physical and cognitive disabilities. Trish Carpenter has spent the past 10 years as a tireless animal advocate through several rescue organizations, primarily Labrador Friends of the South. She has worked with dozens of dogs in order to help them transition from a shelter environment into a stable family life.